Azienda Agricola Petrera Pasquale has been making wine in the Gioia del Colle region since the late 1800’s. 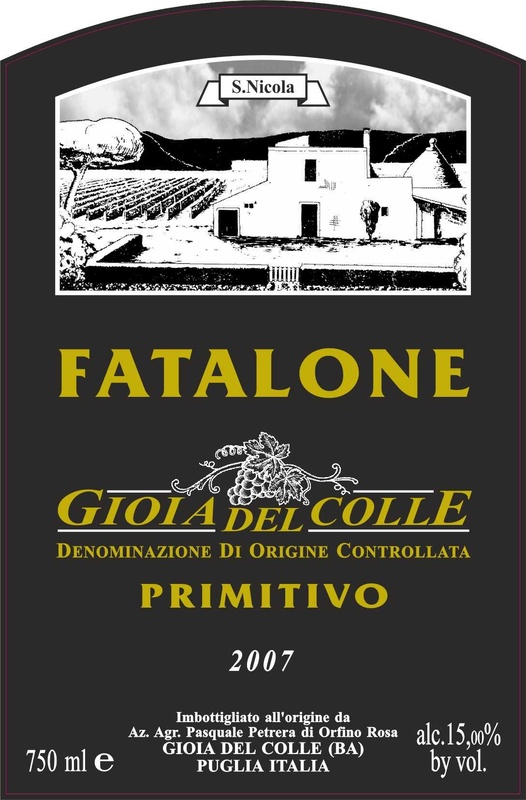 Like many wineries in the area, bottling wine came very late to the game, and 5 generations later, the first bottles of ‘Fatalone’ were produced in 1987. A winery with intense dedication to the earth, their organic farming practices prove to make exceptional Primitivo Gioia del Colle on many different tiers. It is not so farfetched to learn that the aging wine is accompanied by calm music, when tasting the light, yet serious wines from this house. An elegance that can only be experienced on the tongue, we find their style to compete with some of the greatest wines of Italy.